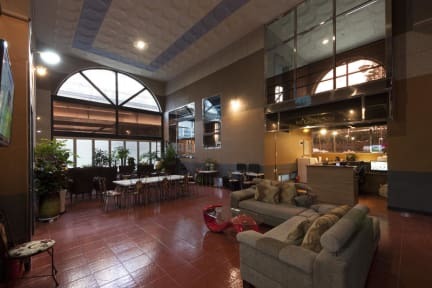 ※ Our guest house has a communal lounge and large public spaces such as hotels than any other guesthouse! You can also enjoy a free breakfast and cup of tea always. ※ All rooms are equipped with Internet, TV, refrigerator, Wi-Fi, shower and free shower kit in every room! Wonderful views of the Han River, Yeouido, every morning and night, such as the picture of a city. Also Our rooms are prepared with spacious rooms and comfortable mood. ※ The Best Location for a Seoul Tourist !!!! Hong-dae, Sin-chon, Ewha Women's Univ. = 15 minutes by public transport. Myeong-dong, Namsan, Itaewon = 15 minutes by subway. We also enjoy your time that view of the city on the Han River in the 11F rooftop garden.